Now, you come to the secret of my life. I live in one of the great solitudes of Canada called simplicity. My life circumnavigates the seasons, all four of them. Fall is here. My inspection of the garden, on coming home from the Boreal, shows a little bit of sugar left in the hummingbird feeders. It will stay until it is not needed. 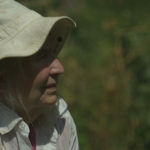 The vegetable garden has to be dismantled. There is much to be done. The heritage dried beans from the ancient world of the North American aboriginal peoples must be picked and air dried for storage and next years harvest. This is a judgment call. The bean growing on its high 6’ (3 m) trellis must have colour and hold a feeling that is a little flaccid. The belly of beans must show me their ribs also. A small part of the large garden, Diana’s root cellar will be full this winter! The beans are carefully picked into wooden baskets. Then they are placed, somewhat apart on clean newspapers that have been laid down on mounted metal mesh tables in a drying room. The temperatures should be in the regions of +50F (+10C) and above. The air should be dry and moving if possible. The beans take about three weeks to dry. They turn brown, the shells become paper-thin, and the tips dehisce and open a little. A shy bean looks out into a new world. Its pedigree is ancient. They are curiously cream coloured with chocolate stripes and dots. The taste is scrumptious, full of first class vegetable protein with a broad wide flavor. Next I check the cucumber tree, Magnolia acuminate, Canada’s sacred tree for death masks and medicine. There are only a handful of these trees left. They are as rare as milk in a bull, endangered. The cucumbers are showing blood red patches. My guess is that I will have pollinated seeds filled with the trees own endosperm. The cold will bring them along. They must be protected until the end of October and collected for cool storage. Then, shared with arboreta across the world. The potato collection is dug, irradiated with ultraviolet sunlight, dried and ashed for winter. The process begins in the morning of a sunny day and goes on turning and rolling the tubers until they hit my boudoir (Or root cellar) for winter storage. All the other vegetables both big and small, rare and heritage follow suit into sand, again for winter’s food and some for spring planting. The huge garlic plaits are hanging on the pillars of the kitchen wall waiting for murder by soup and saucepan! Now Christian and I are forest bound for our winter wood supply, all four cords (14.5m3) of it. We never cut living trees. We plunge into the leafy groves in morning like a swimmer into the sea. The dappled light lifts our footfalls against a clamour of ravens overhead and tiny warblers on target for the tropics. We are enclosed by wood. And the outside world dies its own death to the wonderment of nature. We are engrossed and always learning in this magic circle of growth, greening and gentle wisdoms. We emerge moist from the mist of our own work and know we will have a fire. If I have a fire. I know I will have happiness. If I have happiness I know I will have th spiritual stores to write another book. You see I am also a pilgrim of sustainability, the twin born with simplicity. What else has Diana been up to? 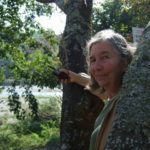 The Royal Canadian Geographical Society has recently visited her at home and written this piece about her for their website. You can check this out here. 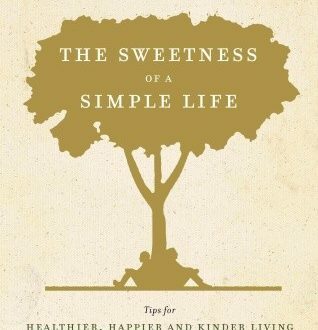 Diana’s new book, The Sweetness of a Simple Life, will be released on October 22, 2013 by Random House! Find out more here. Thank you for writing in! If you are interested in booking Diana for a talk and/or book signing you can arrange this by contacting Stuart Bernstein, her literary agent at stuart@stuartbernstein.com. 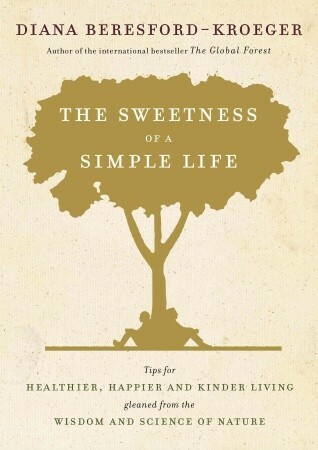 The new book is out on October 22, 2013. What a lovely surprise to read about you in my morning paper. A lovely wee Irish girl who magically cares for the forests of the world. I just love the fact that you have “quietly” cared for trees and birds and bees! It must be an Irish gene as my mother too has quietly planted trees in her backyard and watched the seasons pass. You are and inspiration to me! I do believe you when you say that “They put a sacred trust in my head.” I’m so looking forward to your new book and documentary! I was watching the CBC news tonight, Jan.13, and I was so entranced by you. 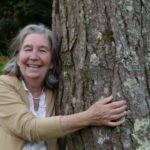 I, too, am a tree hugger and lover, and I have the upmost respect for my own beautiful woods, which includes many conifers and deciduous trees, mature and tall, and young and strong. I would love to meet you, Diana. You are my type of person. I don’t want to intrude on your privacy but I do think that we have a lot in common. I also am concerned for my butternut trees, which as you know are endangered. My husband and I live in a log house, surrounded by our wood lot, which we cherish.